"Do you use some custom plugins for subscription? I need to check it to provide an estimate. Could you reach me directly? eugene [at] webhive.com.ua"
"This is a really good question. We have created different stats pages for few clients to track activity. What exactly do you want to track (posts, comments, likes, friendship requests, etc.)?" "Quick solution is to check the size of your error log file, back it up locally and clean up. If you have multiple plugins and don't have any rotation for logs you might get quite a big file eating up all your space. So 1. Backup error_log 2. Clean up error_log 3. Check which plugins give a lot of warnings/errors in the log 4. Disable them temporarily and reach developers to resolve 5. Get admin to set error_log rotation as a temporary solution"
"@Donna I hear you, it's a long-awaited SE upgrade. I hope there are plans to remove all deprecated or no longer updated libraries inside the SE as well (I'm talking about Scaffold, ZF1, etc) However in case you enforce this manually you will need to repeat this for every single SE update with every 3rd party plugin. If there will be a clear version filter (and clear note: "This plugin does not support SE 4.9.1") you won't need to keep an eye on each plugin after every SE upgrade. Potential clients will be able to push 3rd party developers to upgrade plugins more effectively." The release of new SE version with php 7 support made a lot of website owners want to upgrade asap. I have a couple of suggestions how to make this process easier for community owners and hope SocialEngine team will support me here. 1. There should be SE version filter at the official Marketplace. All listings have SE version number in them. There will be dozens of plugins not working with newest SE for quite some time, but fully workable with prev. versions. There should be an easy way to differentiate them. 2. Plugin review process should include the version check. Currently some plugins have SE 4.9.9 or 4.x mentioned as version support, which is a false information. 3. Field "VERSION TESTED" should not be a free field but a drop-down to select the latest version plugin was tested with. To make filtering more efficient. PS. 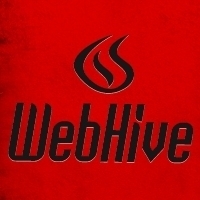 WebHive team is currently working on the release of plugin updates and we will announce when new releases are ready. Donna Sorry I missed responding before. We do already have some of the suggestions on our list from the beginning and have been working to get the marketplace updated. I do check plugins for version numbers before approving (for the ones I approved) and I think the other staff did before I came on board. However, these can be edited after approval. We will have to discuss this internally and see what we can do. We have to allow devs to edit their products so it's not an option to not allow editing. gs Thanks Eugene - great suggestions. It's interesting how many 'I know what I'm doing and have been using SE for years and have gazillions of members at my site' ADMINs just dive right in without using a sandbox (at least separate folder) for testing first and/or don't bother checking with their 3rd-Party Devs to be sure their Plugins are ready (I'm waiting for 6 of 7 Devs to update, before I implement testing 4.9). I've read some github issues that are not due to SE, but rather the 'expert ADMIN' not doing what's common/proper/suggested practice. In fact, I'm also waiting to find out what each Dev determines is best - update SE before or after updating the Dev's Plugins. As you've mentioned, there should be a drop-down that lists each and every version a Plugin. Just because something was tested and supports 4.8.10 for example, doesn't mean it does for 4.8.09 or 4.8.11. There's a lot that I'm hoping SE does with the Marketplace as far as more info, more complete reviews (especially from those that have purchased/used a Plugin), etc. But I'm sure that will come with time. Thanks for the useful post. You're a great Dev (both as a person, Team, and Plugins). Keep up the great work! Are there any plans or possibly work in progress to migrate SE PHP to a newer ZF version (2 or even 3)? New versions of ZF are also considerably faster, using PHP7 benefits. Such migration will definitely require quite some work from 3rd party developers as well as from SE team. But it definitely worth the efforts as new libraries/scripts/updates aren't likely to appear for ZF1 any longer. So hopefully you consider or already work on SE 5 that will use a newer ZF. Stepan Mazurov Yup, we do plan to upgrade to ZF 3 - it will be some time, however, and most certainly as part of the next major (SE PHP 5) version. There is a lot of interesting suggestions posted here. But most of them are lost in test posts. I think it will be better to keep all test posts in a separate category. They should not appear on Hot and New sections. Alex Benzer It's a good idea. We had trouble deciding whether or not to do this. Instead we made this community clients-only, for the most part. That's slowed down the test posts. In fact my Hot feed is currently only ~ 10% test posts. I really like the idea of using a real live community of SE sitebuilders as our demo, since it showcases what a real community looks like, instead of an empty site filled with test/dummy content. Guys, I've noticed that Top Rated does not that over the time. It has the same discussions and unlikely any new discussions will get on top. Jung Kim The "hot" tab is more closer to hacker news' 'best'. It considers score, views and time to put an item to the top. 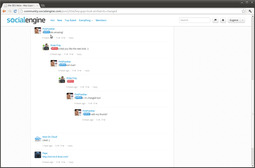 Since SocialEngine Cloud is live it looks like people already started to build communities with it. If anyone wants feedback, critics, suggestions (and possibly first members as well) share the URL of community you are building and let us know more about it. s.ziyad [196,Eugene] is any one working on theme design already? Guys, I know it's a beta for SE5. But it will be really interesting to hear your opinion. There was a release of Zend Framework 2 STABLE. Found an issue with "admin", "author" labels. Check the screenshot. Drew Frey Thanks. I think we got this ironed out. Are you still seeing this issue? 1. Noticed a small bug. You can't reply to your own comment until you reload the page. Drew Frey Thanks for pointing these out [196,Eugene] ! We noticed the long-threaded bug the other day and have added it to the list. I'll check on the first issue you mentioned. Thanks again! Keep the great feedback coming! Are there still Zend Framework or php used on server side? Shaun Harding Yup. PHP is still used for much of SE5 and we still use some Zend Framework components, albeit sparingly. Frank No more Zend with SE5. It's built on a very simply and lightweight MVC. All development will be done as widgets that consume the API, which can be placed into page templates, or as entire themes which are collections of page templates and CSS.